When a capable person seeks a suitable employment in any organization of Australia, he needs to know the details about the Australia recruitment procedures, so that he can be able to pass all the hurdles and finally bag his dream job. 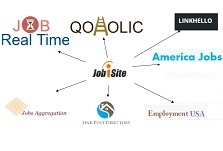 Most of the job vacancies are either posted on the job portals, or advertised on the local newspapers. The interested candidates respond to these advertisements in digital or printed media, by applying to their desired jobs. First of all, the candidate needs to submit his resume and cover letter in reply to the job posting or the advertisement of a suitable job. But this resume and cover letter should contain all the experiences and education qualifications that are relevant to the eligibility criteria of the concerned job. So the candidate should tailor his resume according to the job demands, if it is not correctly prepared. Once the recruiters’ team receives all the job applications from the candidates, they scrutinize all the resumes very minutely and finally select a few among them, who seem to hold the suitable qualifications and desired experience level. Sometimes, this scrutiny is done by any recruitment consultancy, whose services are hired by the concerned company. Then the shortlisted resumes are sent to the hiring manager of that company, who calls up or sends emails to these shortlisted candidates, inviting them to appear for an interview on a scheduled date, as per the current Australia recruitment rules. The candidates who do not receive any call from the recruitment consultancy or the company, they should take their resumes as rejected for that position. Some companies prefer to take a telephonic interview, before the candidates appear for a face-to-face interview. Actually, this telephonic interview is meant to check the communication expertise of the candidates, which is essential for the jobs of customer care, telemarketing and receptionist. So the hiring manager discusses their present and the aspired job profile with these shortlisted candidates, as part of the phone interviews. If any candidate is not shortlisted in this phone round of Australia recruitment procedure, he/she is duly informed from the company within 1-2 days only. When the interviewer feel satisfied on speaking with the candidates over the phone, the further shortlisted candidates are called for appearing in the personal interview. The face-to-face interview is the last round of Australia recruitment process that is held only for a few shortlisted candidates and here, the hiring manager and his team form the interview board, for asking several questions to the candidates. The career history, educational details and the family background of the candidates are discussed in this round of interview. The candidates are given freedom to ask any question regarding the job profile of the advertised position, so that they can have clear idea about the job they are aspiring for. After the thorough assessment of the skills and ability of the candidates, only the most competent one is selected for the concerned position and next the selected candidate is asked to submit documents, after the salary negotiation is over.